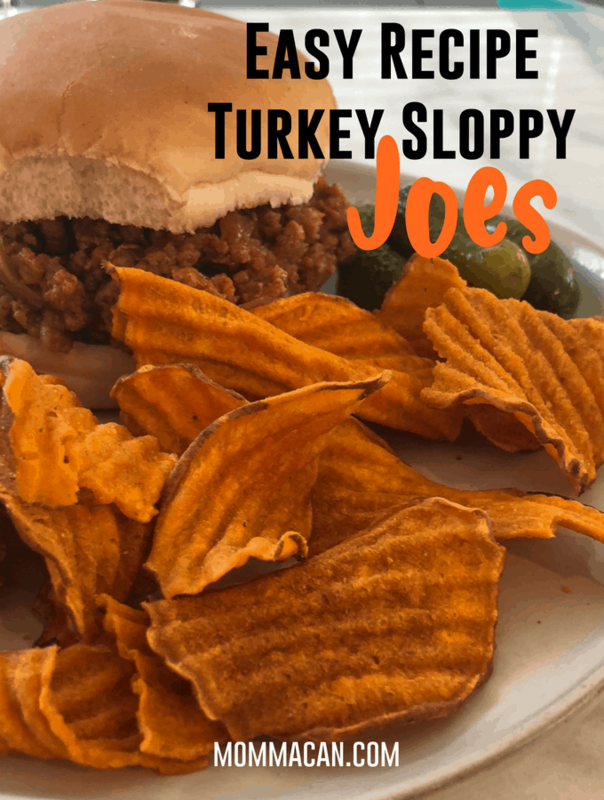 Today I am sharing a family favorite, our Easy Turkey Sloppy Joe Recipe! This yummy recipe smells so good and uses many staples you have in your fridge. I often whip up a batch using the bottom of the bottle of ketchup, mustard, and bbq sauce. The versatility of being able to add several different kinds of vegetables for added health benefits. I use not just the traditional, bell pepper, and onions, but also carrots and celery. I use what is available in the refrigerator. Turkey Sloppy Joes are a quick and easy recipe that kids love. It is a budget-friendly ground turkey recipe. I freeze and double batch cook this recipe. 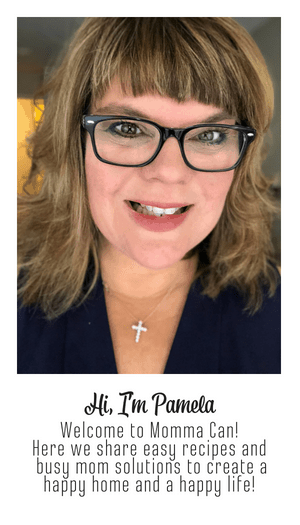 This post contains some affiliate links for your convenience (this means if you make a purchase after clicking a link I will earn a small commission but it won’t cost you a penny more)! I appreciate your support. Read full disclosure here. 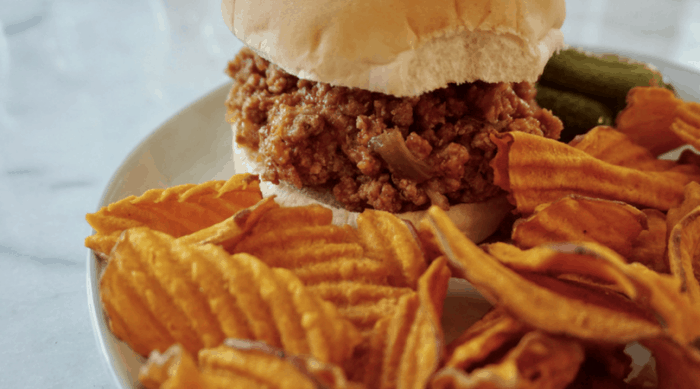 This turkey sloppy joe recipe is awesome for three reasons. If you love this recipe, check out our yummy Easy Turkey Chili Recipe here. 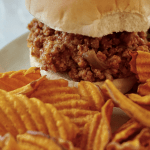 This yummy and simple to cook ground turkey Sloppy Joe recipes is our family favorite for busy school nights. The best part! You can freeze the leftovers! So make a double batch! Heat a large skillet over medium heat, add in olive oil. Once hot, stir in turkey, onion, pepper, celery, and carrot. Cook, breaking up the turkey as you go until the turkey is cooked and finely diced vegetables are soft about 8 minutes.I really love to use my pampered chef tool for this! Have you seen it? While above is cooking, whisk together the remaining ingredients for the sauce:, ketchup, brown sugar, A1 Sauce, Worcestershire sauce, mustard, hot sauce, garlic powder, and salt. Stir the sauce into the turkey-vegetable mixture and bring to a simmer. Reduce heat to keep at a simmer for about 4-5 minutes. Taste for salt, and consider adding finely ground pepper. We also love this turkey sloppy joe recipe in tacos, burritos, and on sourdough toast!